Home » Studies » Travel and Cashback Credit Card Study: Which Offer Better Rewards for Millennials? Travel and Cashback Credit Card Study: Which Offer Better Rewards for Millennials? The information related to the Uber Visa Card has been collected by CompareCards and has not been reviewed or provided by the issuer of this card. Most credit card-toting Americans have at least one rewards card in their wallets. According to the Consumer Financial Protection Bureau, around 80 percent of all credit card spending is done with a rewards card. A cashback or travel rewards credit card will likely be the first type of credit card a first-time card user will apply for at the beginning of their long credit journey. Card issuers already try to cater to younger audiences: Cards like Chase Sapphire Reserve® and the Uber Visa Card are marketed to attract the younger consumers’ wanderlust and inner foodie, by offering triple points or more for each dollar you spend on travel and dining. Meanwhile, cashback cards offer bonuses on more mundane purchases, rewarding trips to the supermarket over trips to Los Angeles. Which of the two types of cards is the better deal for younger consumers? CompareCards looked at the terms of nearly 100 different travel rewards and cashback credit cards from the 10 largest credit card issuers in the U.S. We then looked at spending data of typical younger Americans, as defined by federal statistics. Combining the two sets of data, we then determined which type of card may yield the better return, depending on the behavior of the card user. If your spending mirrored that of a millennial in the Department of Labor’s most recent survey, you could potentially charge around $1,800 per month over that two-year period. This assumes charging everything that would reasonably entitle you to a reward (so include dining out, but not the rent). You would earn on average nearly $750 in cashback rewards over two years, and $779 worth of travel miles via travel rewards cards. Even better, this is after taking into account any annual fees the cards assess. Transferable travel rewards cards — cards that allow you to transfer points across multiple airlines — offered $810 worth of travel rewards over two years, on average. Travel rewards cards have significantly larger introductory offers than cashback cards. The cashback cards in our study offered an average of $86 in introductory bonuses, while travel rewards cards sported introductory offers of more than 35,000 points (or miles) on average, or $350 in travel value (assuming a redemption value of one cent per point). On the other hand, travel rewards cards have significant annual fees, while most cashback cards do not. Travel rewards cards had an average of $239 in annual fees, while only two out of the 38 cashback cards in our study had no annual fees whatsoever. Travel rewards cards are most lucrative when points are redeemed for travel-related purchases as opposed to cash. When they can be redeemed for cash, they aren’t as valuable than a standard cashback card. You’ll often lose about half the value by redeeming the points for cash instead of redeeming points for flights or hotel reservations. Combine an annual fee that many travel cards feature, and by using a travel rewards card to earn cash, you’re likely underperforming any cashback card. Cash rewards cards, on average, are equally rewarding as travel rewards cards when used for dining. Although travel rewards cards enjoy a reputation for offering more rewards points than cashback cards for spending at restaurants, our data show that both types of rewards cards yielded similar rewards for dining out. Cash rewards cards are the easier of the two types of reward offers to understand. Typically, a card user will receive a base amount of cash back (say, 1%) on most items charged on their card. Of course some transactions, like cash advances and some types of payments, will never count toward accruing rewards with either type of rewards card. Most cashback cards will offer more than 1% for certain spending categories: The Bank of America® Cash Rewards credit card, for example, offers 3% cash back in your choice category, 2% cash back at grocery stores and wholesale clubs for the first $2,500 in combined choice category/grocery store/wholesale club quarterly purchases & 1% cash back on every purchase. 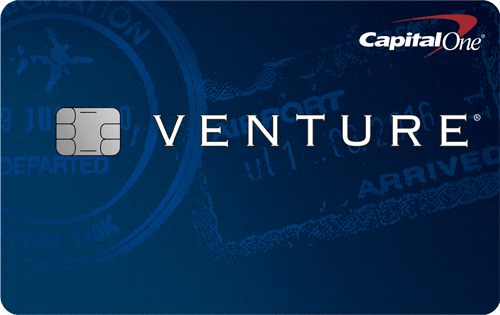 With the Capital One® Quicksilver® Cash Rewards Credit Card you earn 1.5% cash back on every purchase, every day. After the intro period ends, the APR goes to 16.24% - 26.24% (Variable). 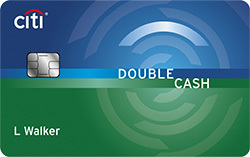 And one of the most rewarding cashback cards we looked at, the Citi® Double Cash Card – 18 month BT offer, offers Earn 2% cash back on purchases: 1% when you buy plus 1% as you pay. Travel cards work similarly, except that they express their value in points (or sometimes miles). Typically, one point is equivalent to one cent. In addition (perhaps obviously), travel cards reward travel spending more than cashback cards. At the very least, you’ll receive double points for purchasing flights with the airline’s rewards card, and often you’ll receive multiple points for restaurant spending. How did our model millennial do when using a travel rewards card instead of a cashback rewards card? The short, often unsatisfying answer: It depends how you redeem the points (or miles). For instance, some travel rewards cards allow you to redeem points for cash, but not at the same rate as you would receive for, say, a stay at a rewards card hotel or an airline flight. CompareCards found travel rewards cards handily beat cashback cards in terms of rewards value. The fact that many travel rewards cards offer generous sign-up bonuses to new customers who meet a spending requirement certainly gave it an edge over typical cashback cards. Many of the most lucrative travel rewards cards also offer double or triple miles for certain types of travel. In addition, thriftier travelers who have some flexibility and are willing to do some homework can make travel and rewards miles go even further. By searching for flights that may cost fewer points (flights that are often midweek), you can often double the purchasing power of your rewards points. In our study, travel reward cards based on a particular airline were able to purchase a total of $1,493 worth of airline travel after two years of purchases. Transferable travel cards — cards like The Platinum Card® from American Express or the Chase Sapphire Reserve® — yielded an average of $1,630 of travel value. That being said, not all of one’s spending (no matter how some might wish otherwise) will be based upon vacations to the Caribbean. Also, many travel rewards cards have an annual fee, while most cashback cards do not. While travel cards often offer introductory miles and sometimes waive the annual fee the first year, over time, the annual fee may reduce the value of the travel rewards card. Annual Fees. Many rewards cards have annual fees between $50-$100, and some luxury cards often have annual fees of $400 or more. Loyalty. Does the travel reward card have a flight (or an airline partner) to the destination you want to visit? Your spending habits (or lack thereof). If you’re better off saving for, say, a down payment or a wedding and only making essential purchases like groceries, then a no-fee cashback card may be the better deal. Redeem for travel to maximize your rewards. If you use a travel rewards card, you’ll often earn the most value by redeeming for travel-related purchases. But there are some caveats. The most obvious is that none of us spend more than $20,000 a year exactly as a column of numbers from the U.S. government would dictate. It also presumes you charged every single item with the same rewards card, no matter how small. While Apple Pay and online shopping does make that possibility a bit more realistic than even five years ago, it’s unlikely that a rewards card of choice will be available to use for every single slice of pizza or concert ticket you buy. Finally, no type of reward card is going to be very rewarding if you don’t pay your balance in full every billing cycle. Carrying a monthly balance of even $1,000 over 2 years will cost you $297 (based on a card with a 15.9% APR), taking a big bite out of anyone’s travel budget. Also, if you’re thinking of financing a mortgage or car in the next couple months, put off the cashback or rewards application for now. Applying for a credit card, or asking for any type of new credit typically reduces your score temporally. Don’t worry, the reward card offers will still be there. For the millennial spending basket, we presumed an annual expenditure of $50,000 per year was “spent” in the same proportion as indicated in the Department of Labor’s 2016 Consumer Expenditure Survey. (We estimate that roughly 44% of expenditures are potentially rewards-eligible purchases). Reward rates of cashback and travel reward cards were based on offers available in February 2018. Introductory offers and annual bonuses were included, and we deducted the annual fee for any card that had one. We only included the rewards cards of the 10 largest credit card issuers in the U.S., according to The Nilson Report, and excluded business rewards cards. We then modeled an annual expenditure on groceries, travel, gasoline and other expenditures typically credited with rewards, and based the annual cashback or rewards earned by the cards on the rates each card offers for each category. For co-branded travel rewards cards, we assumed the highest rewards rate applicable for travel purchases and that cardholders use the card exclusively with the issuing brand. We included any introductory bonus points or statement credit, and reduced the total reward earned by the annual fee, if any. All rewards schedules were based on credit card offers as of February 2018.